RichTextEditor for MVC is by far the fastest, cleanest, most powerful online wysiwyg content editor. 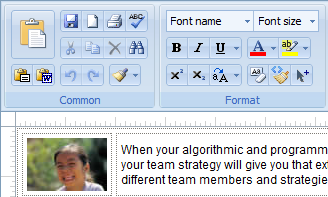 It enables MVC web developers to replace any textbox/textarea with an intuitive word-like wysiwyg html editor. In this article we will discuss how to use RTE with ASP.NET MVC. The sample applications using the Razor view engine are included in the download package. Copy the following files to your application bin folder. The "richtexteditor" folder and all files it contains should be deployed to the directory of your MVC website. To allow RichTextEditor to upload big files, you need to add Uploader HttpModule to your application.